Amilcar was a French automobile brand that built cars between 1921 and 1939. They were good – as you can see – at building sporty little roadsters. Toward the end of their existence, they also offered a forward-thinking model aimed for more mass-market consumption. But financial difficulties and the war prevented it from being a success. Ah, but the CGS Type S (or CGSS). It’s a fantastic example of pre-war French sportiness. It may not have the desirability or pedigree of a Bugatti, but these are awfully sharp looking cars, aren’t they? The CGS was introduced in 1923 and the CGSS, which was lower and more powerful, was produced between 1926 and 1929. It’s powered by a 40 horsepower 1.1-liter straight-four. This car came to the U.S. in the 1990s and was professionally restored between 2002 and 2005. It returned to Europe in 2012 and hasn’t been used much since. The color scheme here is fantastic and the car looks great. Only about 4,700 examples of the CGS and CGSS were built. This one should sell for between $55,000-$82,000. Click here for more info and here for the rest of Bonhams’ Goodwood lineup. 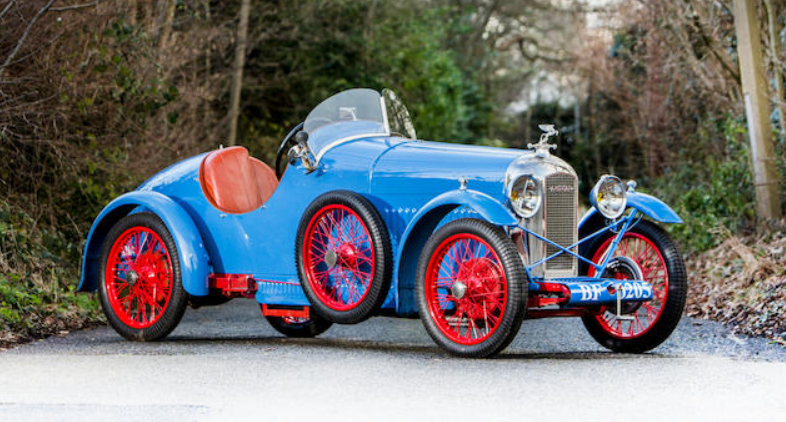 This entry was posted in Uncategorized and tagged 1927, amilcar, auctions, Bonhams, cars, cgs, cgss, classic cars, type s, voiturette by classiccarweekly. Bookmark the permalink.